It is Telugu superstar Chiranjeevi's birthday and his fans have flooded Twitter with birthday wishes for him. Hashtag Chiranjeevi is one of the top trends on Twitter today. The actor celebrates his 62nd birthday today and what would have been better than receiving so much love on the special day. His co-stars like Anushka Shetty and Kajal Aggarwal and colleagues like Lakshmi Manchu wished the actor on Twitter along with several fans. A fan club on Twitter wished Chiranjeevi and called him the "king of Tollywood." Chiranjeevi is gearing up for his new film Uyyalawada Narasimha Reddy, an update of which is likely to release on social media today. Uyyalawada Narasimha Reddy is produced by Chiranjeevi's son Ram Charan. Baahubali 2: The Conclusion actress Anushka Shetty, who has featured in Chiranjeevi's Stalin, shared a birthday post on Facebook. Kajal, who co-starred with Chiranjeevi in Khaidi No 150, wished him a fabulous day and wrote: "Happy happy birthday Chiranjeevi sir!! Wish you super health, happiness, contentment. Have a fab day!" Lakshmi Manchu wrote: "Loads and loads of health happiness and many more fun movies"
HBD dearest #Chiranjeevi uncle.... loads and loads of health happiness and many more fun movies. Chiranjeevi returned to silver screen after a gap of 10 years in 2017's Khaidi No 150, his 150th film. 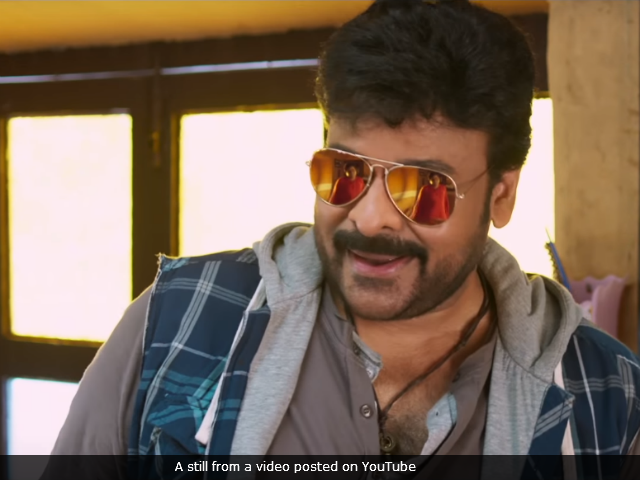 Khaidi No 150 released in January and received a record-breaking response. Chiranjeevi's next is Uyyalawada Narasimha Reddy, co-starring Amitabh Bachchan. Have you wished Chiranjeevi yet?